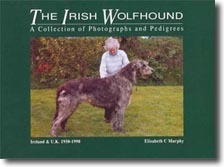 A hard-back, A4 size book containing 850 Photographs & 4,800 pedigree entries. This interesting 250 page, hard-back, book is an historical record of the breed up to 1930. Illustrated with over 100 wood carvings specially cut by the author and her sister. Many early pedigrees are also included. Don't forget to send your name and postal address, printed clearly, with remittance.